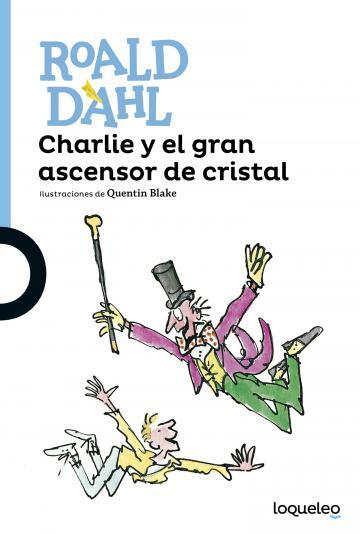 La continuación del primer gran éxito de Roald Dahl, Charlie y la fábrica de chocolate. El señor Wonka ha cedido a Charlie su gigantesca y fabulosa fábrica de chocolate. Acompañado por su familia, Charlie se monta en un gran ascensor de cristal que sube y sube hasta entrar en órbita. Al llegar al espacio, se encuentran con personajes monstruosos y viven maravillosas aventuras. WHOOSH! Inside the Great Glass Elevator, Willy Wonka, Charlie Bucket and his family are cruising a thousand feet above the chocolate factory. They can see the whole world below them, but they’re not alone. The American Space Hotel has just launched. Lurking inside are the Vernicious Knids – the most brutal, vindictive murderous beasts in the universe. So grab your gizzard! Hold your hats! Only Charlie and Willy Wonka can stop the Knids from destroying everything!